Stockholm, Sweden – 3 February 2016 – Stugan, the non-profit games accelerator launched by Sweden’s most influential video game developers and entrepreneurs, today opened its application process for its 2016 summer program. Twenty aspiring game developers will be selected to spend eight weeks with all expenses paid in a traditional Swedish cabin, or “Stugan” in the Swedish countryside, where they will be supported and mentored while building their games. Additionally, Stugan is announcing that the first game to emerge from one of their 2015 teams will be launching later this month. The game comes from participate Clint Siu and is called “_PRISM.” The game is a visually stunning journey where players manipulate shapes and patterns to unfold sacred geometry with push and pull of cinematic design, mythology and intuitive touch exploration. The developer attributes much of his progress on the game to his time at Stugan, where mentors and other teams helped him hone his skills and discover news ones. The release date is set for February 18th for iOS (iPhone, iPad & iPod Touch). This year’s program is steered by Sweden’s leading individuals in the games industry and developers from the likes of Rovio, Mojang, King, Resolution Games, Avalanche Studios, Snowprint Studios and others. Top Swedish and international games industry thought leaders will visit the cabin and hold lectures and workshops around their respective areas of focus. ·Jens Bergensten (Jeb_), lead developer of Minecraft at Mojang. ·Tommy Palm, co-founder and CEO of Resolution Games and long-time Swedish games industry veteran. ·Oskar Burman, general manager of Rovio Stockholm and one of Sweden’s most well-known figures within the games industry. ·Karl Magnus Troedsson, VP of group strategy at Electronic Arts (EA). ·Paul Bragiel, Silicon Valley serial entrepreneur, venture capitalist and managing partner and co-founder of I/O Ventures and Presence Capital. ·Alexander Ekvall, co-founder and CEO of Snowprint Studios and previously oversaw production for Candy Crush Saga and other games at King. “We’re anticipating this year to be exceptional. We’re already getting lots of interest from some impressive mentors who want to participate and have nearly doubled the amount of sponsors this year, added Karlikova. Applications will be accepted today through March 31, 2016. The application process is simple and includes a 90 second video, where applicants present themselves and their game idea, along with a short written description of themselves, the game and the goal they want to reach. Applicants can be for games developers across any platform and from anywhere in the world. Unlike traditional accelerator programs, all participants will keep the rights to the games they work on. Stugan is now officially over! What an amazing first year of Stugan this has been, with 15 new games about to meet the public, some of them hitting Steam Early access already in a couple of weeks. Please follow us on Twitter for more info, or check our YouTube Channel out for more video footage of this summer. Rounding off with some great photos by Stuganeer Mark Backler, to give you a flavour of what this summer's been like. Follow the 15 teams in Stugan though our YouTube Channel. New episodes each week, and don't forget to subscribe! The teams have arrived and are ready to create magic! Also, enjoy the great trailer below, presenting the games created in Stugan! • Jens Bergensten (Jeb_), lead developer of Minecraft at Mojang. Stugan also announced the extension of its application deadline through April 15, 2015 to give applicants an opportunity for feedback on initial submissions. With this, applicants who submit their entries by the last day of March will be provided feedback from the review panel and allowed to resubmit their entries to increase their chances of admission. 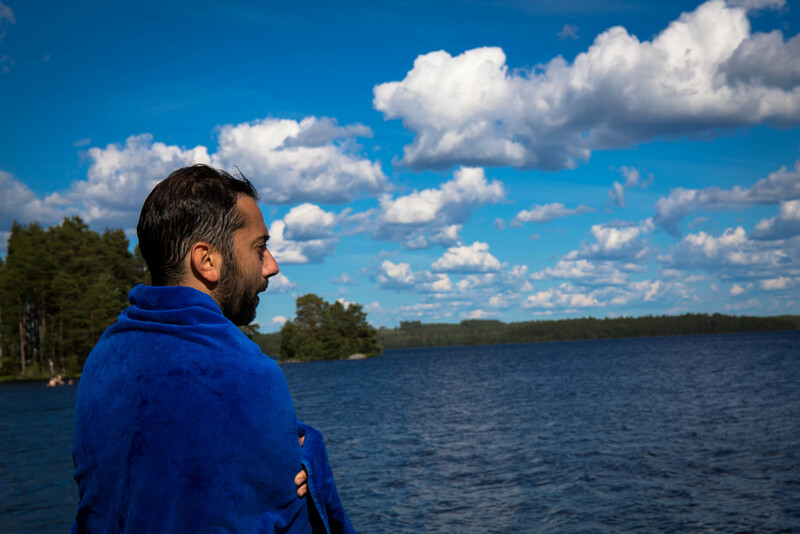 Stugan will be accepting 20 aspiring game developers, who will spend eight weeks over the summer of 2015 with all expenses paid in a traditional “Stugan” (cabin) in the Swedish countryside. They will be supported and mentored while building their games and will eventually present their work to potential publishers, sponsors and investors. Unlike traditional accelerator programs, all participants will keep the rights to the games they work on. The application process is simple and includes a 90 second video, where applicants present themselves and their game idea, along with a short written description of themselves, the game and the goal they want to reach. Applicants can be for games developers across any platform and from anywhere in the world. To submit an application and see additional program details go to www.stugan.com. JANUARY 22nd, 2015 - We've now opened our application process, feel free to read more on our application page.